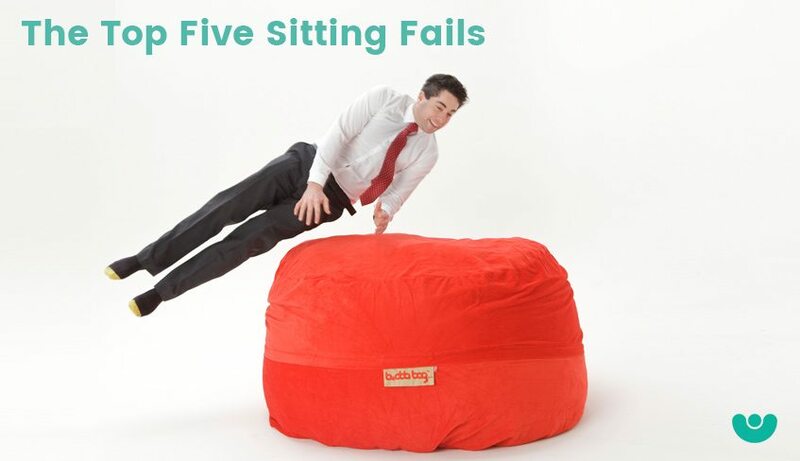 There’s nothing better or easier than diving into a memory foam filled Buddabag, it’s like floating on a cloud. Soft, supportive and massive fun, it’s simple to literally jump in and relax. Of course not everyone finds the seemingly straight forward task of sitting down quite so simple! From those who sat on chair that weren’t there, to seats that just weren’t made for sitting we’ve got a rundown of the five most epic sitting fails! Next time guys try a Buddabag! 1. Laughing so Hard You Fall! We’ve all been there, someone says or does something so funny you just loose it and even the simple things like sitting in your chair can be difficult. Recliners, they seem so easy to use! But as this poor guy found out, don’t put your face near the reclining part! While the Buddabag is meant for hours of lounging, some chairs just aren’t meant to be sat in for long periods of time, as Hunger Games actor Josh Hutcherson found out on a promo for the movie in Chicago! Sometimes chairs just go from underneath you. It’s embarrassing and unexpected and most of the time pretty hilarious! Thankfully a Buddabag won’t leave you with an epic sitting fail like this hard chair did to Kim Kardashian and her famous derriere. Then there are the guys who thought this was a good idea! Epic fail guys!